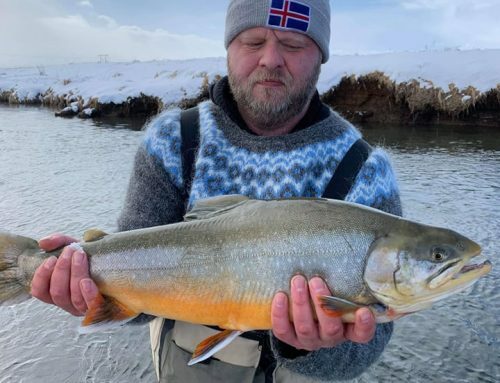 Sea angling tours in Iceland – One of the best way to experience Iceland and what Iceland is all about, is to go sea angling for few hours – Icelanders have had to depend on the fish in sea since the first settlers came to Iceland. Icelandic sailors had to go out on their boats in any kind of weather, all through the year. 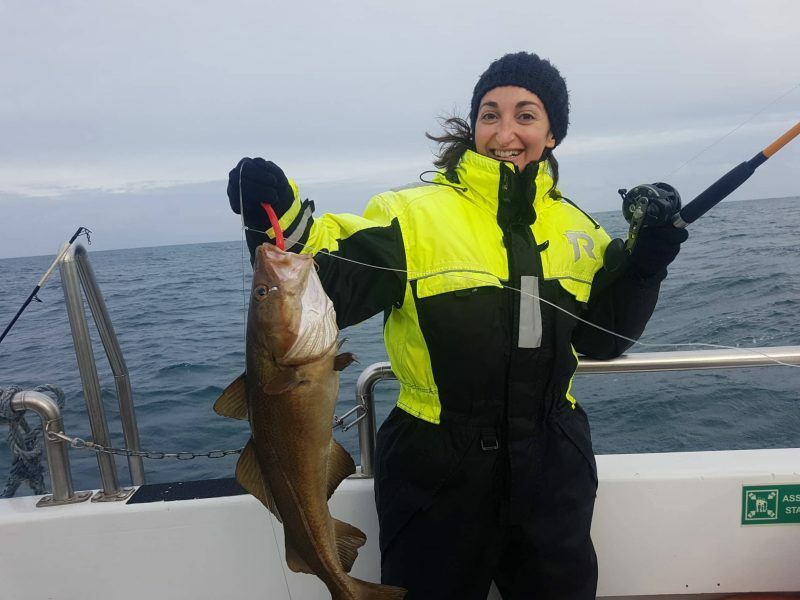 In the sea around Iceland we have many species like Atlantic Cod, Haddock, Saithe, Atlantic Herring, Mackerel and various flatfish. 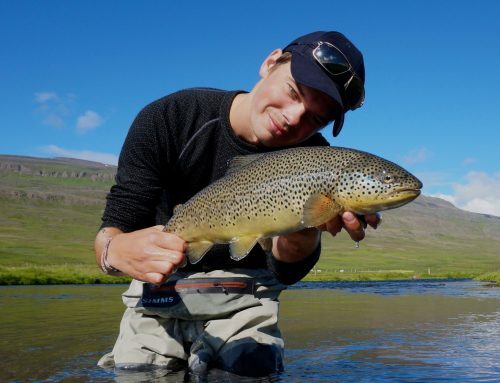 We offer 3 – 4 hour Sea angling day tours from town Keflavik on the Reykjanes Peninsula, that is approx. 30 minutes from Reykjavik. Town Keflavik is only 5 minutes from our International Airport. 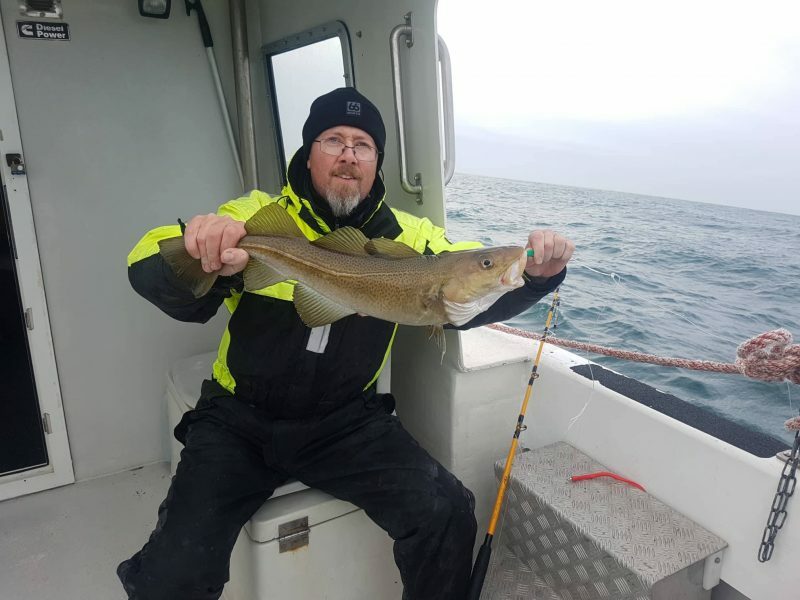 Our Sea angling tours are for everybody, experienced anglers and beginners as well. Our tours are for groups of 4-12 people. 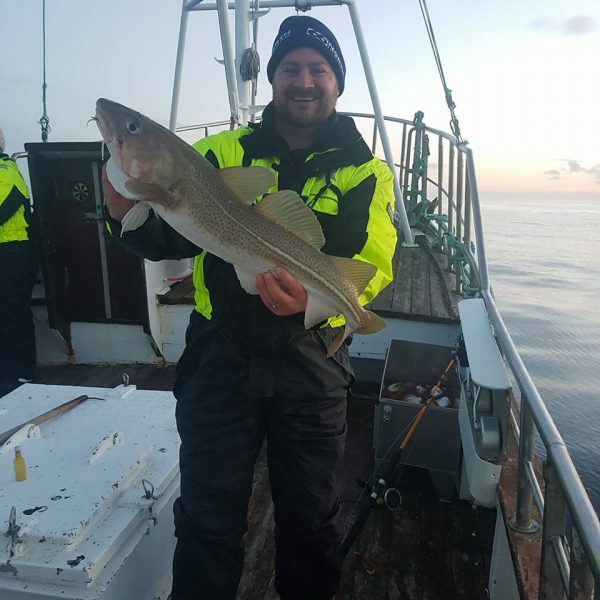 The most common fish we catch on our tours are Cod, Catfish, Haddock and Mackerel. 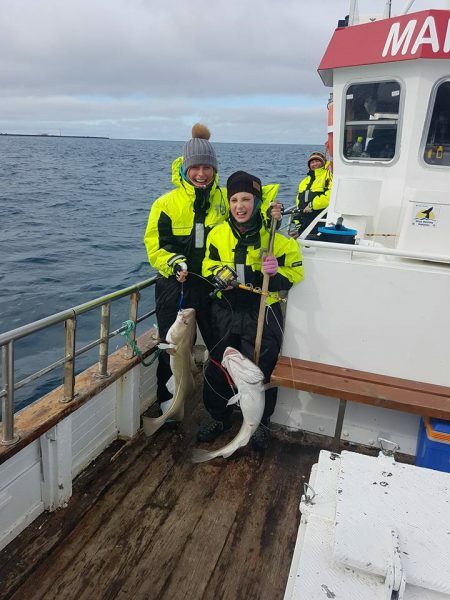 We offer also longer sea angling tours and multiple day tours. 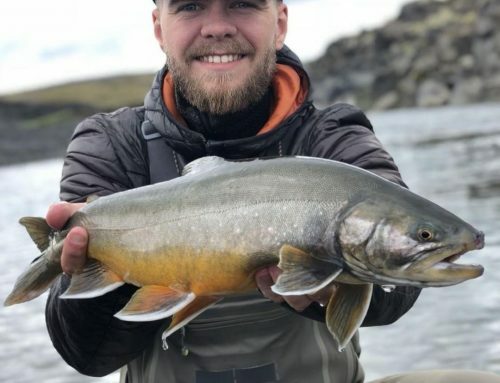 Lot of the groups we take out sea angling, take the tour as a part of a longer fishing trip that include river and lake fishing as well. 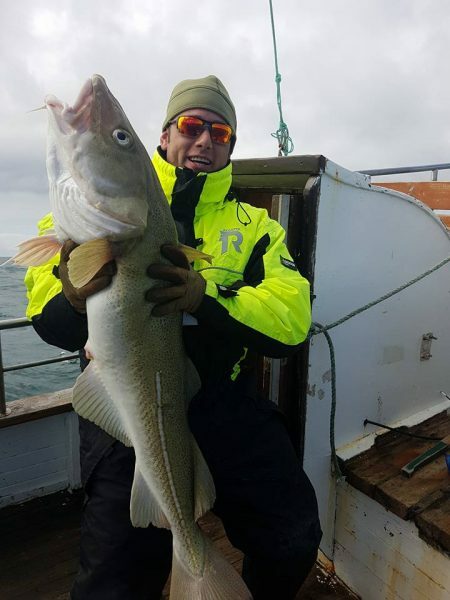 The waters off the Reykjanes peninsula coast is an important habitat for many big marine mammals, mainly as seasonal feeding ground, rich in plankton and offer fish like sand eel, herring, capelin, haddock and cod in the best possible conditions. On our sea angling tours it is common to sea white Beaked dolphins about 2,8m long, Minke whales 10m, Humpback whales 15m. Occasionally we can see Orcas up to 9m long, Sei whales 19 m and Fin whales 22m appear at the surface. 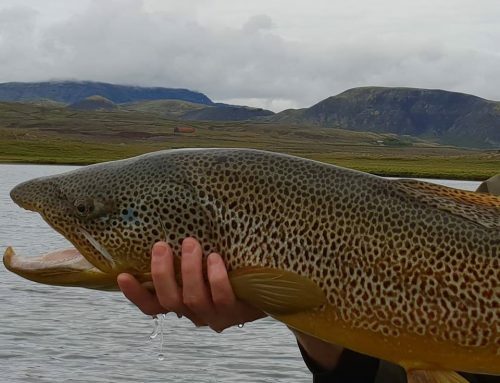 On our sea angling tours in Iceland we provide all the fishing gear and tackle you need for the day, as well as an overall or a protective clothes. 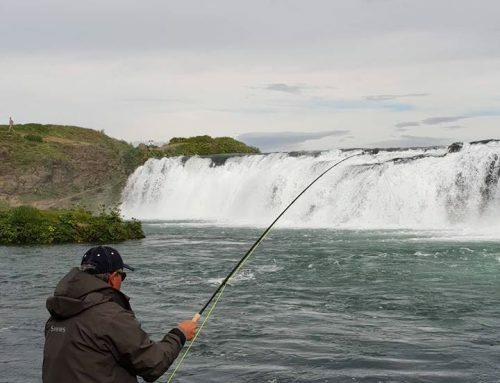 If you want, you can take the fish you catch, with you when you leave the boat. Our guide will help you prepare the fish. 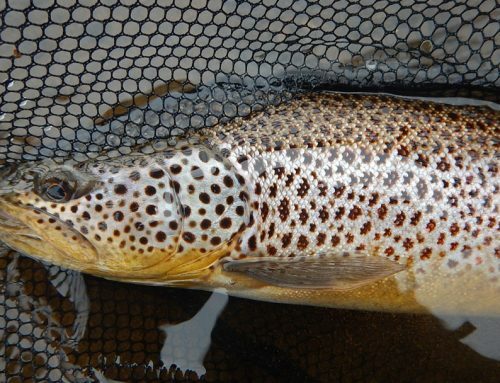 If you more information about our Sea angling tours, see here.